Posted on August 24, 2016 at 10:23 am. The Age has released a haunting report stating Australian punters lost close to $23 billion during the 2015-2016 financial year, half of which was lost on the pokies. The figures were collected by New Australian Gambling Statistics, showing that an increase in the popularity of sports betting has contributed towards the annual rise in gambling losses. The pokies remain the largest contributor to gambling losses, accounting for a loss of $11.6 billion, which is an increase of 4.9% from the previous financial year. This is equal to about $1,241 in losses per person. The daunting statistics will feed the fire for renewed calls on poker machine reforms from Nick Xenophon and Andrew Wilke. The sports betting sector has grown by 30.1% in just 12 months, which Deakin University associate professor of public health, Samantha Thomas, believes to be a result of heavy marketing. Despite the growth in sports betting, it remains one of the smallest segments in the market. The pokies still dominate all losses, followed by racing ($2.8 billion) and lottery betting ($1.7 billion). 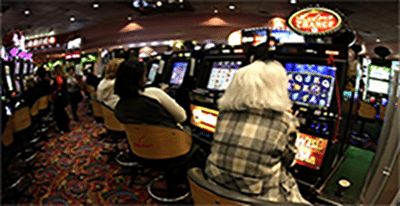 Human Services Minister Alan Tudge said problem gambling was three times worse online than in any other area. In response to the statistics, the Victorian government has announced a ban on all betting advertisements near schools and public transport. Canberra aims to strengthen consumer protection for online players and crack down on offshore sports betting sites. Neither of these moves will address the issue of problem gambling in land based casinos, where Aussies lost a reported $5.1 billion in casinos around the country. Melbourne’s Crown Casino was the biggest cash cow, raking in $1.8 billion in gambling losses.